In this six-session Zondervan GroupwareSmall Group Edition DVD curriculum, acclaimed relationship experts and real-life couple Les and Leslie Parrott are back with a wonderfully insightful guide for improving the single most important factor in any marriage or love relationship-- communication In Love Talk, the Parrotts present a simple plan to help each participant discover his or her communication style, as well as their partner's, and how the two can best interact for healthy communication. The six sessions include: - Communication 101 - The Foundation of Every Great Conversation - Your Personal Talk Style - The Secret to Emotional Connection - When Not to Talk - The Most Important Conversation You'll Ever Have The Zondervan GroupwareSmall Group Edition of Love Talkprovides a DVD and a 32-page leader's guide. 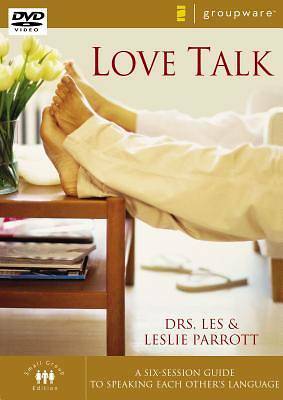 A hard copy edition of Love Talkand companion workbooks for both men and women are available separately.